New Year’s eve noon time is a fun, festive celebration at Kidimu full of cool activities and even a noon balloon drop! In this podcast, Kidimu Executive Director Susie Burdick is excited and enthusiastic in describing this event – her favorite – to BCB host, Channie Peters. The fun begins at 10am with crafts for all the family. There will be face painting, bingo, treats and a count down to noon when a glorious colorful balloon drop symbolizes the Times Square ball dropping (without the diamonds). The museum will close at 1 pm. 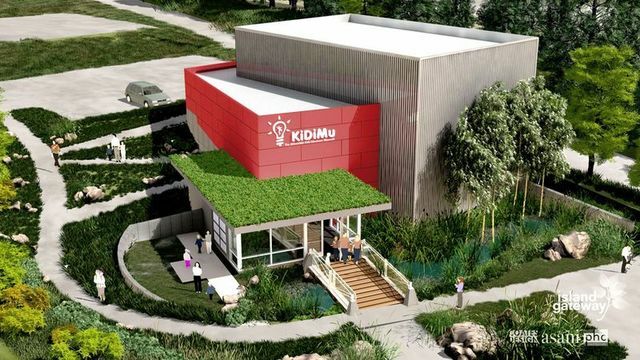 In this podcast interview, Susie also reflects on the past decade at Kidimu, and how the children’s museum of Bainbridge Island has evolved. Though with the same mission, Kidimu has become more mature, professional, and a very committed partner and collaborator with other community organizations. Programs and activities have a strong focus on early childhood development. Check the Kidimu new years party webpage for specifics on the noon New Year’s eve celebration activities and times.